I love fanciful design. It adds fun and surprise to the world, keeps adults young and makes all ages laugh. I find these wall decals, murals and faux taxidermy very appealing. 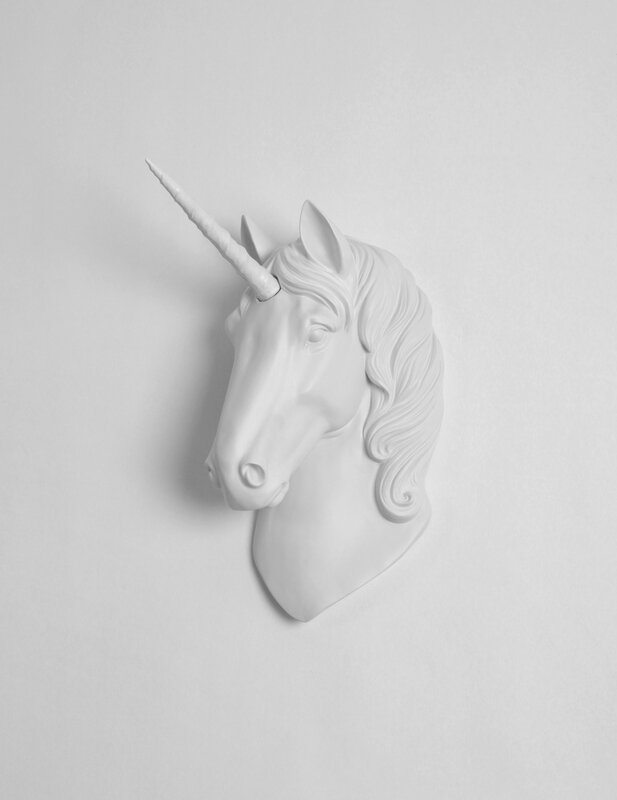 These whimsical wall decals are self-adhesive and easy to put up and take down. Most are reusable. We have done earlier articles on wall decals Once upon a tile … and Channel your inner graffiti artist. These are the newcomers to the scene with fresh designs and concepts. Couture Deco has self-adhesive trompe l’oeil doors, bookcases, bamboo, kids’ doors, floral and city wallcoverings. They are printed on fabric.It also has many wall decals. Try city, tree, fabric, chalkboard, kids, or handcrafted wall decals. 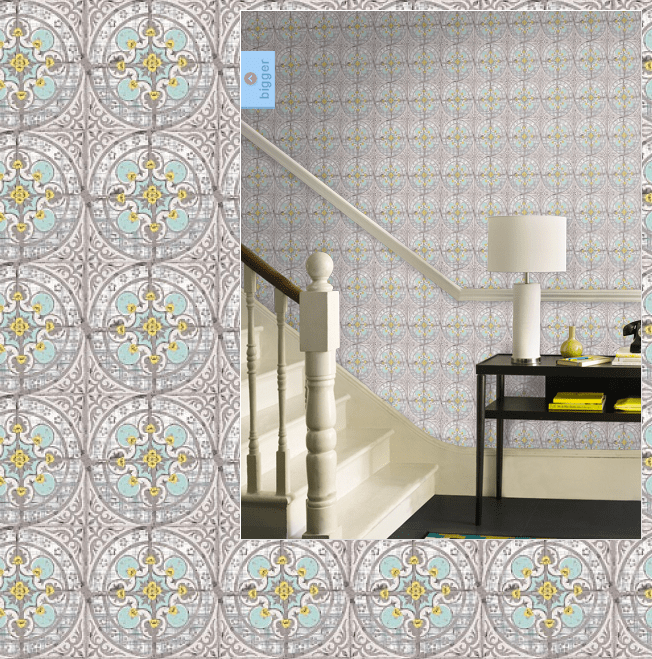 The Vintage Bibliotheque wallpaper shown below has a 3D effect. It is on superior quality mat and light satin finish paper. 1 roll is 25.2’ x 1.74’ and is $99.00. 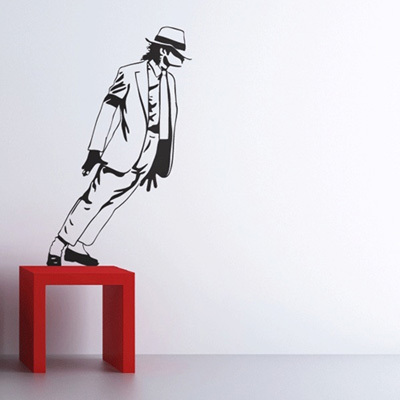 I LOVE this decal of Michael Jackson. In the right place it would be wonderful. It is removable and reusable. It is available in 17 colors, comes in two sizes and is $109.00. Large is 45.7”h x 27.6”w and Medium is 35.8”h x 21.6”w. Try these paper tiles, designed by Louise Body. 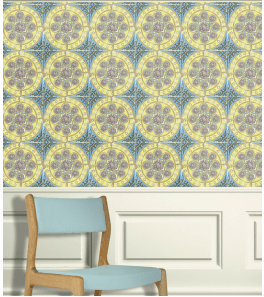 They incorporate original Victorian tiles with Louise Body’s color palette and flower drawings. They are printed on sturdy coated, non-woven paper and look great anywhere in the house. Try them in the kitchen, under the fireplace mantle or in an alcove. One roll is 33′, $351. 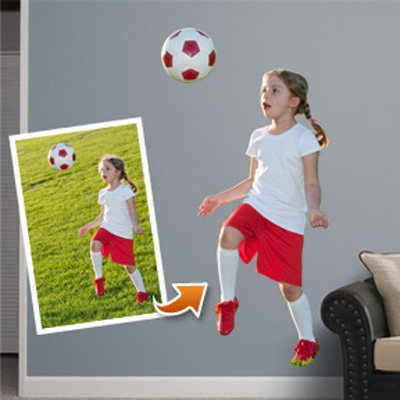 Fathead lets you create your own wall decals. 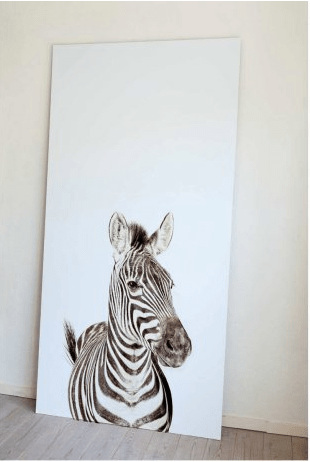 Upload a photo or drawing and Fathead will convert it into a vinyl wall mural. Add molding to a wall or door, add a mantle to your living room, the possibilities are endless! Many sizes and shapes are available, but to give you an idea, a 48” x 78” wall mural is $139.00. I am totally smitten by the rabbit in this cut to fit magnetic wallpaper. The wallpaper serves double duty as a magnet board. Choose your favorite image – a cockatiel, zebra, rabbit, giraffe, bear or an owl. You can also select the option of paintable magnetic wallpaper where you can choose your own color. 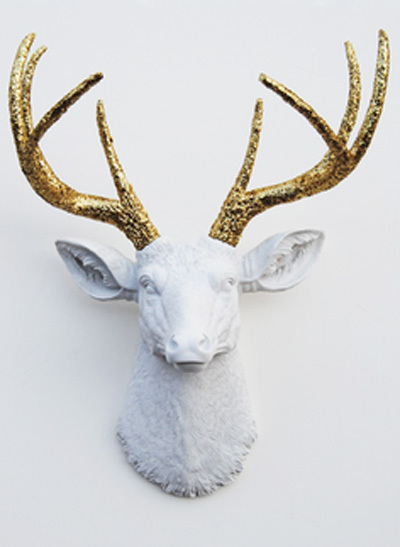 A little off the wall decal theme, these faux taxidermy animal heads are weirdly appealing. For the right person, one of these will be perfect! There are 22 animals and 2 ocean creatures to choose from. Some of the animal heads come in mini size. You can also choose plain antlers. Minis are $45.00, small heads are $70.00 and large are $85.00 – $130.00.